St. Germain, one of the Ascended Master Avatars leading us into the Golden Age and one who holds front row seating in the Children of the Sun Council of 12, has just issued a new and most glorious directive. All light servers who are part of this collective mission in the roles of wayshower, teaching, healing and communications must now come as One Mission to share the truth of the I AM Presence to all people who have open hearts and inquiring minds. We are a little more than just two years away from the first ascension gateway. Our preparatory passage through the years of 2011 and 2012 is the most important phase of all of our earthly embodiments combined. It is imperative that a certain number of us make full transition into the new I AM Avatar consciousness blueprint in order to blaze the way for the rest of Humanity to follow. St. Germain has decreed that we must now make it our highest priority in daily life to give rhythmic attention and constant focus with our mighty I AM Presence as the only Presence acting in all activity, both individually and as a group. This is no more a mental exercise, he says, but an integrated, fully embodied experience and reality! We have finally approached the time for the lifting of the veils, that we might receive the wisdom and knowledge of our Divine Inheritance through the Kingdom of God within. In this current cycle of energy, we are receiving group initiation for soul advancement into the monadic level of consciousness to more intimately experience and embody our true eternal nature, the mighty I AM Presence of our being. In this collective focus, we are being overlighted by the great cosmic beings from On High, expressing as Universal I AM Intelligence and one luminous field of Mother-Father God in action. With us are the great avatars, angels and cosmic beings of our Universe including the many nameless and formless ones, silent watchers, teachers, record keepers, spiritual guardians and ancestors who have watched over the human race for millions of years. Through this beautiful platinum ray of light at a Universal level, we are able to enter into the Ascension Seat of the Brotherhood of the Light in Orion, holding the core focus of all the teachings of light on this earth plane and overlighted by our own I AM Presence. Orion is the prominent constellation located on the celestial equator and most easily recognized in the night sky by the Belt of Orion, three bright stars in a row. The way is being opened so that we may learn how to hold the frequency and vibrational signature of our I AM Presence within our form, sustained and without waiver, each and every moment of our daily life. Prepare yourselves in these coming days for greater and greater self empowerment and heart-mind activation as we are initiated into greatness and much closer intimacy with our universal I AM family. We are being assisted in every way so that we may feel, adore, know and call forth our mighty God Presence as the only Presence acting on every level of our life expression. In the next two years leading up to the 2012 ascension gateway, we are being gifted with detailed instructions in how to hold our unwavering faith and rhythmic focus in the activity of the BECOMING, and to sacredly walk as a self-realized Christ Presence upon this sacred Earth. This great knowledge will be shared through a special dispensation from the Great Central Sun and will enter into our awareness through many different forms such as nightly sojourns, through dreams, prayer and meditation, the crystalline grid, intuition, thought transference, conversations, imaginations, and visions. Children of the Sun Foundation will also disseminate this information as group grid focus supported by new educational programming. The Light of God that Never Fails! The mighty "I AM Presence" is an electronic body of blazing light substance that is individualized within each of us as the flame of life from the heart of Mother-Father God. It is our true nature... that imperishable, eternal and individual identity of each and every human being. It is that which we have been seeking to return for millennia of lifetimes, The Great God Self, which never misuses life's energy nor sends out anything but Perfection. 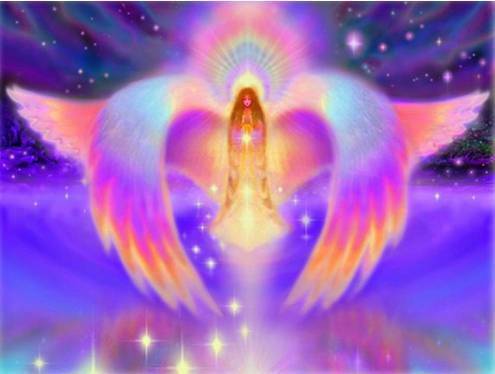 As the highest divine aspect of our vast multidimensional constitution, the I AM Presence is the original seed of Love and the immortal nucleus of our entire being. It is the Source of every constructive impulse... thought, feeling and action. Its unifying, cohesive nature is the source of all the love, wisdom and power required to overcome absolutely anything and everything that is of discordance and limitation. As we develop intimate relationship with and give constant adoration to our I AM Presence, miracles begin to happen including instant manifestation, spontaneous transformation and absolute knowing. This occurs simply through the constancy of our unwavering focus placed upon the Greater. In doing so, spiritual energy around us intensifies and expands as the points of light within every cell of our flesh body respond in tremendous gratitude. As our attention continuously pours out Love to the I AM of our being, an impenetrable radiance of light forms around our body encasing us in a protective tube of light of great magnetization and transformative influence to the outer world. God, expressing as the mighty I AM Presence within each of us, is the authority of the entire Universe. As we give sincere attention to our I AM Presence each and every day and allow this supreme authority of our own consciousness to govern and be ever present in the forefront of our lives, personal transformation and the collective ascension is dramatically quickened. The I AM Presence hears, sees, thinks, feels and responds to only Perfection on its level of cosmic service. As we consistently give adoration, feel gratitude and qualify our every activity with and through this energy stream, our daily positive impact upon life is immeasurable. This is especially amplified when our focus is consciously combined with all of the beings of light from On High supporting our dimensional transition. Together we coherently serve as Universal I AM, operating within all cosmic dimensions and radiating the patterns of perfection of Mother/Father God in action. In this new moon transmission, we are receiving group initiation for soul advancement into the monadic level of consciousness. With support from this platinum colored Cosmic Ray, we journey deep into the silence of our being to directly experience the vastness of our Supreme Self and as this is one with the infinite diversity of perfection within Universal I AM. Through the sacred fires of cosmic light, we are allowing the patterns of perfection to flow into our mighty heart flames to release the love of the universe and to simultaneously burst any remaining chords of separation and discordant programming. In receiving this Love through our own I AM Presence, we are in turn feeling the action of "pouring out love" in a return flow to the entire Universe. As we generate love to the Greater, we are constantly asking that Greater to teach us of itself. This is the return of Super Consciousness!